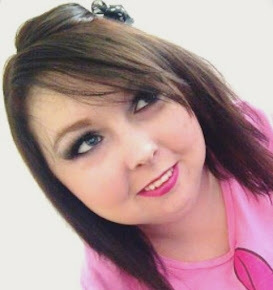 ALISHA VALERIE: Beauty Fit Giveaway! Is your jewellery box over flowing? Do you have no where to fit all of your beautiful jewellery? This is the answer for you. 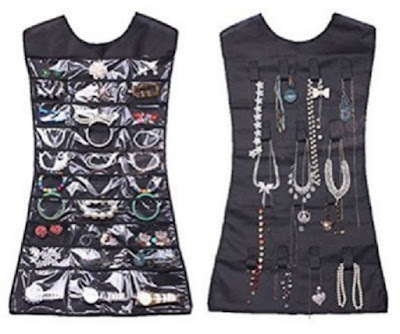 Ensure all jewellery and trinkets are kept safely in one place with this handy Double Sided Jewellery Organiser. Featuring 14 hook and loop closures, and 27 clear vinyl pockets, this organiser is capable of storing a large quantity of items at any given time. Shaped like a dress, this jewellery organiser will hang on standard clothes hangers and is easily stored within a wardrobe or clothing rail. 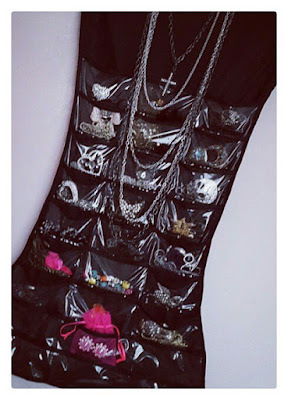 These really are creative and stylish wardrobe jewellery organisers, which are perfect for storing jewellery, cosmetics, hair and fashion accessories, and all of life's curiosities with ease in thirty clear pockets on one side hold earrings, rings, watches, pins, make-up and other small items and on the reverse, seven open pothooks and seven closed pothooks accommodate long necklaces, chunky bracelets, and other bulky items like headbands, belts, and scarves that most pocket organisers don't fit. It's the clear and quick way to find what you need in the different clear bags in a hurry! When I received this I was thinking to myself "finally I can now store all of my jewellery beautifully without the jewellery box tangle mess!" There isn't a hanger attached so you can modify/chose the best system for your situation; hanger, pole, wire, etc. It's a little bit like a jewellery lovers dream of a Tardis! - Go onto my twitter page and retweet the tweet which says "NEW BLOG POST | BeautyFit #Giveaway!" Or click on the name and be directed right there. - You must be following me on my twitter. - Go onto my instagram page and find the picture of the giveaway and heart it. - It's free to enter. - The competition is open to both female and male. - Under 16's please ask parent or carers permission before you enter. - Each winner will only receive one BeautyFit jewellery organiser. Although you could always get your partner, family member or friend to enter for you. - I will personally be sending the prizes out to the five winners with proof of a receipt and tracking number so you can keep up with the post. All five winners will be picked at random and announced on Friday 1st April 2016 in My March Favourites blog post which will always go live at 12PM [12Noon] (GMT) I hope you all have a wonderful day, and GOOD LUCK!